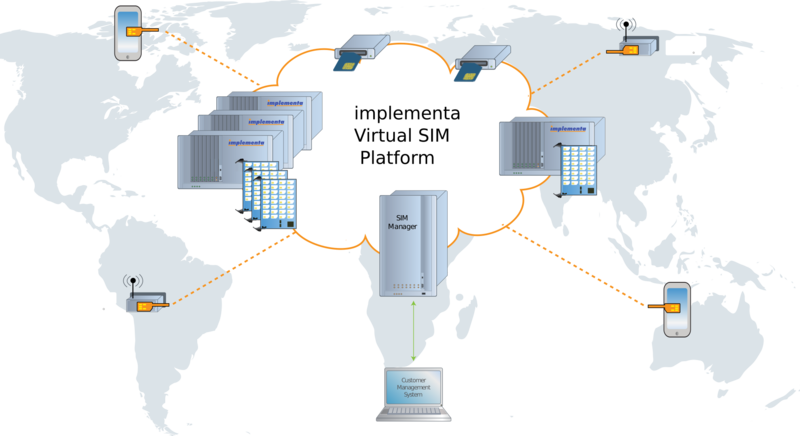 The implementa Virtual SIM Platform is a unique combination of Technologies, Components and Services that enables customers to add Virtual SIM Functionality to their Applications. A powerful Software Interface (API) makes it easy to integrate the implementa Virtual SIM Platform into customer's applications. The software Interface is operating system and language independent. Customer's software can take full control of SIM Allocation and Error Handling. Based on our sophisticated Virtual SIM Technology.